Are you looking to master Pay Per Click? 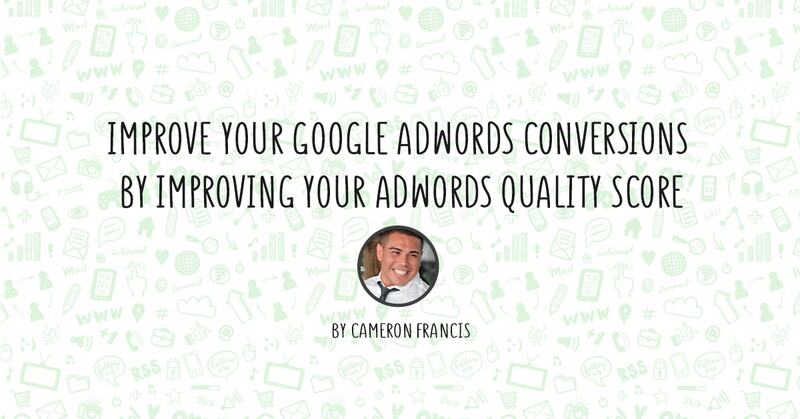 Then you need to focus your attention on your Google AdWords Quality Score. It is important to know that AdWords Quality Score plays a big role in defining the effectiveness, cost, and success of your Pay Per Click campaign. However, what is your AdWords Quality Score and how can you improve yours? AdWords Quality Score is a rating out of 10 that Google assigns to each of your pay per click ads. This rating includes mostly the relevance and quality of both ads and keywords. SEO professionals should be more than conversant with quality score, and the same benefits apply to PPC ads. Therefore, if you are looking to know your Quality Score and its Component scores, then you should continue reading this handy google guide. Another advantage is that you can now see historical quality score data; helping you to identify ways your quality score has changed and other additional helpful information. Well, quality score matters mainly because it has a significant influence on the cost of your campaign, which determines the amount you will pay for each click. What does this mean? Well, it merely means that the higher your quality score, the higher your ad ranking, which lowers costs. In a nutshell, the lower the price (lower cost per click), the smaller the cost per conversion will be. The fact is that several factors come into play in determining the score; and just like Search Engine Optimisation, no-one can entirely be certain the factors that are more important than others. However, through research and trial and error, you get to know what factors are critical. The first step to improve your quality score should be geared towards keyword research. It is wise to always focus on the most appropriate keywords for your campaign so that you can adjust the relevancy of your campaigns. Remember; long-tail keywords are the best because they bring more traffic that is highly targeted. It is important to note that identifying the most relevant keywords is not enough; it is wise to organise them into active groups that can be used for individual campaigns. It is wise to avoid having many broad ad groups since they could lower your Quality Score. Rather than investing in broad ad groups, you should establish smaller and targeted ad groups, because they have higher chances of contributing towards your overall successful campaign. Through targeted ad groups, you are more likely to reach the exact audience, through keywords that are most likely to be researched. The truth is that getting this part right, the rest will flow naturally. It is important also to avoid adverse keywords, which could unnecessarily drain your budget. If you do not do this, you could lower your click through rating, which will eventually damage the AdWords quality score. Well, we can dedicate an entire blog post to optimising the landing page. However, for the sake of time and this article; it is important to remember that relevance is paramount. There are many reasons why it is essential to keep everything relevant. The process of getting to the landing page by clicking an ad should provide a consistent experience that will link users effortlessly from the initial search request to conversion. It is important to note that landing pages are an important part of your campaign. For this reason, it is essential to follow best processes and practices for optimising landing pages. Having a great landing page is not only necessary, but a great way to improve conversion rates; which is the ultimate goal. The best way to succeed with a limited budget is by getting the best visibility for your PPC ads. Moreover, it is how a customer data platform can improve AdWords performance, which is a search marketer’s guide to using paid social media Click Through Rate. CTR (click through rate) is a general idea because it is the most influential factor that affects the Quality Score. Other website owners find it easy to pay attention on improving CTR, compared to quality score; their reason being that it is more transparent as a contributing factor. One of the main factors of improving CTR is ad copy. It is essential to make sure that it is attractive and direct to the point. In other words, find ways to make searchers want to click on your ad over others being displayed. Well, to be successful in this, you have to do a bit of trial and error. What does this mean? It simply means that for your ad to be attractive to users, you have to test and improve the ad, to know which works best. However, even though this is the case, it is wise to keep relevance in mind. This mainly involves both relevances to the search term and landing page. 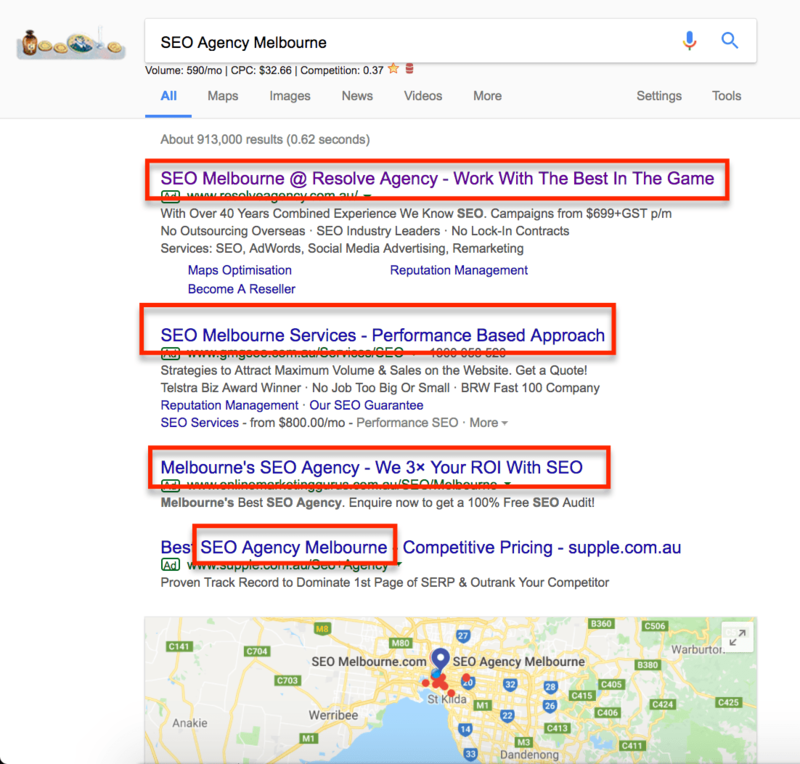 For example, if you are using “SEO agency Melbourne” as your keyword and there is no mention of this in your ad; then this will affect your quality score making it lower. In addition to this, there is no point of writing ad copy that you think will improve CTR, if it does not have any relevance to your landing page. The truth is that a high ranking will only give you high click-through rate, but eventually leave you with no conversions if the landing page is not relevant to the ad. At the same time, you may want to consider pausing keywords with low conversions and low CTR of less than 1.5%. It is important to remember that Google will give keywords an expected CTR% when starting. At times, it may be low, because other advertisers may not have experienced good CTRs. However, do not let that discourage you because you can lose out on a big opportunity for making your ads and landing page better. You can also include Dynamic Keyword Insertion (DKI) to improve your Click Through Rate (CTR). Just like a bad credit rating, your historical or previous account performances plays a huge role when it comes to quality score. For example, if you have a history of a low AdWords quality score, then Google is less likely to adjust your current score. Well, this may seem a little bit unfair, especially if previously you had a bad score. However, if you are determined, you can turn this into a high-quality score with correct techniques. At the same time, lower AdWords quality scores are likely to be applied to newer accounts, because Google is more likely to trust ads from old accounts with a long history of performances compared to a new account with just a little history to go with. This is similar as trying to make Google trust new sites when it comes to SEO. The truth is that it will take time, and patience will get you there. Therefore, if you have a history of a bad quality score and you think that it will be bright to just create other accounts for your website: Then you are misinformed. One reason is that Google does not allow this and it is actually in their policy. The fact of the matter is that ad ranking is not so much a factor in improving your quality score. In the actual sense, a good quality score improves your ad rank. However, it is worth mentioning ad ranking because it can help you develop the big picture (quality rating). Ad ranking determines the position of your ad in the search engine result page (SERP). This is determined depending on your bidding amount, quality score as well as expected performances. The moment you see your quality score improving, then you should look at your ad ranking improving naturally. In the long run, you will look at your ads occupying top positions, which will also improve your click-through rate (CRT). You should not get yourself too hung up on quality score, even though they are essential. Rather than focusing on your Quality Score, look at the bigger picture by trying to get those conversions. Keep in mind that quality score is a contributing factor to your overall campaign success. Always aim at focusing on quality, relevance, and improving click-through rates. This technique will help you with your whole ad campaign.